As registration for the HR Leaders Summit builds, its circle of speakers expands with new names from major companies across the region. 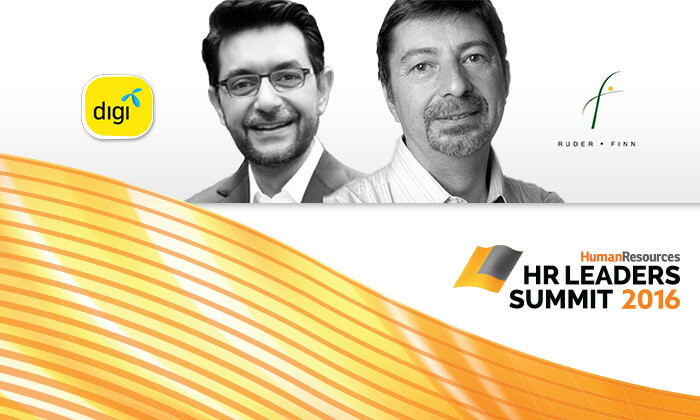 Top HR executives from Digi and Ruder Finn Asia are the latest additions to the list of presenters who will exchange insights and ideas with their esteemed peers at the HR Leaders Summit, Asia’s most prestigious event for senior HR executives. The HR Leaders Summit is an ultra-exclusive, invitation-only conference for senior HR executives to be held at the Renaissance Phuket Resort & Spa on the island of Phuket in southern Thailand on 16-18 May 2016. “The HR Leaders Summit 2016 will explore the different faces of HR leadership by scrutinising industry data and cases while encouraging free enquiry and expression,” said Aditi Sharma Kalra, regional editor of Human Resources magazine. Haroon Bhatti mainly describes himself as a “digital HR, mobile first” enthusiast. As the chief human resources officer at DiGi Telecommunications, Bhatti is equipped with the lessons and skills he developed while holding leadership positions in the past, such as senior vice president of people development at Telenor Asia, chief people officer at Grameenphone. He also served as consultant for ThinkFast Consulting and Dynamik Technologies. Bhatti holds a Bachelor of Arts degree in Economics and Political Science and Master of Arts in Political Science from McGill University. John Mullins carries more than 20 years of professional experience, with exposure to the international public relations scene, specifically in Australia, Japan, Malaysia, Taiwan, Hong Kong, Korea and Singapore. His role as the chief development officer for Ruder Finn Asia focuses on human resources, training and development and managing affiliate relationships across the Asia Pacific region. He also works with the regional senior leadership team executing the company’s regional business strategy, which includes fostering key client relationships and new business development. His expertise in crisis and issues management as well as in media handling skills and crisis preparedness adds uniqueness to his style in leading organisations. Mullins graduated with a Bachelor of Arts with Honours in Japanese and International Politics from Monash University in Melbourne, Australia. "People want to advance in their careers much quicker than the business needs allow. HR needs to find a way to balance that. "..